You might want to bookmark this post for future reference as it appears the reconsideration phone number for Chase cards has changed. Per Reddit, it appears the old reconsideration number of 1-888-245-0625 is no longer in service but there is a new, working reconsideration number which is 1-888-270-2127. I’ve confirmed the old number is not in service and this new number takes you to a Chase credit analyst. This number is working for both personal and business cards. Frankly, it wouldn’t surprise me one bit if this was a result of the volume of calls received on pending/denied applications for the Chase Sapphire Reserve. I mean interest in the card is so popular they ran out of metal to make the card…. Once you start applying for several credit cards, you’ll undoubtedly need this number as it is tougher now to get an instant approval with Chase. If you are eligible for a Chase card (i.e under 5/24 or applying for a card not subject to 5/24) and get a pending message, I recommend calling this number to figure out what can be done to approve the application. 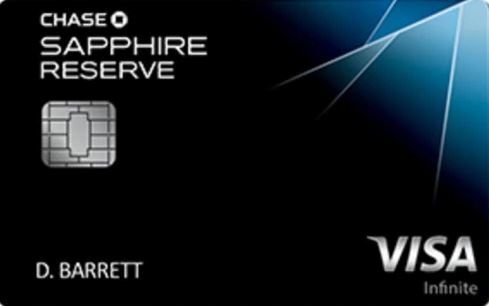 Many times the representative will state Chase can’t extend you any more credit but will allow you to shift credit from an existing card to the new one to get it approved. Good luck with all the reconsideration calls! I’m at 4/24. Any chance I’ll get approved? Or are they just going to make me wait FOREVER only to tell me I’ve been denied? This is super frustrating, especially after reading other threads of people who have called the reconsideration line and been able to get an immediate decision, whether it was a “yes” or a “no”. I think you just need to wait it out. Keep checking your Chase online account – that will be the sign you are approved when you see the card in your accounts. Thanks for the new number. It helped. I was able to find out why I was on ‘pending…’ and get approved after shifting credit. I called reconsideration line. I’m at 5/25 and two of which are authorized accounts (one citi and one chase). I was asked if I use the authorized account citi card to which I replied occasionally and chase card to which i replied ‘not really’. He said he will be giving me credit line of 30k but will require final review after which i will get card through UPS. I asked him should I call back in 7 days if no response and he said that I could.. he said approval will take 24-72 hours so 7 days would be enough time..